Very early this morning, I tuned in to my husband making adorable squeaky sounds in our bathroom as he played with our new 11-week-old furbaby boy. Squeaky sounds coming from your hunky love (who is a grown man tapping into his inner 7-year-old boy) that early in the morning is the cutest thing ever. It is a gentle reminder not to take life so seriously. This week my quiet mornings of writing have suddenly been replaced with the kitten zone of cray cray fun for me. But for our beloved resident cat, Ollie, it’s no fun at all. She is having… MAJOR issues. We were worried. 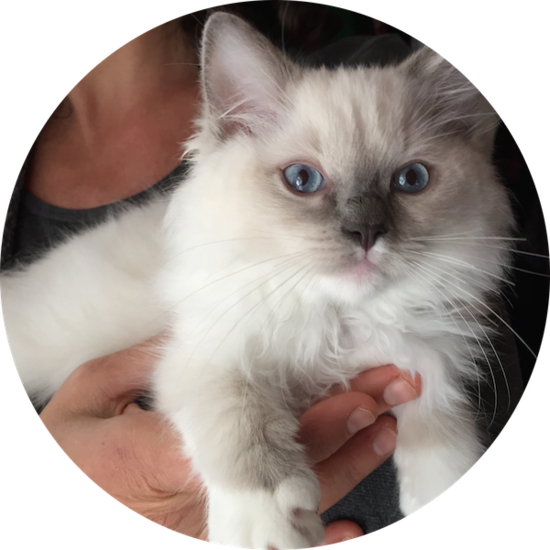 After the cat behavior specialist we hired gave us a detailed plan with how to successfully integrate our new kitten into the household, we felt much better. That got me thinking about how important the design of a space is in creating a peaceful and calm environment. For example, when your waiting room is at its busiest and suddenly there is an emergency, how do you and your staff manage to keep calm and carry on? And, moreover, how does your environment help support patients and staff without a big freak out or post exhaustion from all the stress? #1) Set up a beautiful self-service water and tea table with drawers like these in your waiting room. Keep it stocked with beautiful cups and glasses and an assortment of high quality herbal tea and filtered water. Label one of the outside drawers used cups so your client and patient peeps can help keep the area clean until your staff can get to it. This not only saves time and effort, it also is a wonderful offering to a patient who is in pain and feeling vulnerable. And when things get very busy, a team member can direct the patient to help themselves to a cup of yummy tea. Read my article here about how this one act humanizes your environment and builds trust. #2) Turn off all overhead fluorescent lights. There is plenty of evidence out there that shows this type of lighting is bad for your health. I’ve talked about lighting design before and I’ll say it again here. Lighting is one of the most powerful design tools to enhance our mood and relax the nervous system. This works especially well when events or situations in a small waiting room (or other high traffic areas) grow stressful. Layer your lighting in all of your rooms with at least one floor lamp and table lamp. Wall sconces and funky chandeliers that reflect your style are encouraged. The larger the space, the more lighting needed. Take a peek at my Pinterest board, Lighting For Healing Spaces to get ideas. #3) Reduce your clutter and your patients and staff will breathe easier. Clutter is defined here as anything in excess that starts to feel like “too much stuff” in a space. This can be anything as simple as too many outdated magazines in your waiting room to boxes and file cabinets stacked on a wall. Reduce, reorganize and create systems to bring more harmony to the nervous system. Read my article on how clutter creates confusion and what to do. So tell me, which of the three design tips above resonates with you most and why? P.S. Please send some love our way for the smooth integration of our newest family member.